Expand your galaxy with the Star Wars™ Battlefront™ Outer Rim digital expansion pack. Fight among the factories of Sullust and battle within Jabba the Hutt's palace on Tatooine in the Star Wars™ Battlefront™ Outer Rim digital expansion. 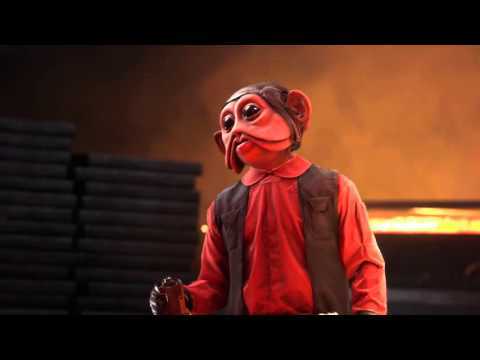 Shoot first with Greedo or target foes with Nien Nunb. Arm yourself with the new Relby V-10 rifle and DT-12 blaster pistol. The Outer Rim awaits. As part of the Star Wars™ Battlefront™ Season Pass*†, expand your galaxy with the Star Wars™ Battlefront™ Outer Rim digital expansion pack*. Blast enemies in the smelting factory or along the industrial pipes and platforms of Sullust or fight through Jabba’s throne room and sail barge garage on Tatooine. New playable hero characters will have you shooting first with Greedo or targeting foes with precision as Nien Nunb. Arm yourself with the new Relby V-10 rifle and DT-12 blaster pistol and collect and equip the Scatter Gun, Dioxis Grenade, and Adrenaline Stim Star Cards. The Outer Rim awaits. *REQUIRES STAR WARS BATTLEFRONT FOR APPLICABLE PLATFORM (SOLD SEPARATELY).